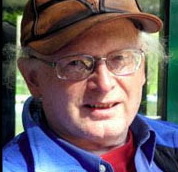 Strephon Kaplan-Williams started the first dreamwork training program for professionals (1979) at his newly formed Jungian-Senoi Dreamwork Institute in Berkeley, California involving weekly year-long study in the basic techniques for doing dreamwork with individuals and groups not associated with any one school of psychology. He has given one, two and three year professional training programs to psychologists and lay people in dreamwork psychology since 1980. He has taught his approach in eleven countries. These include: United States, Canada, England, Scotland, Wales, Norway, Sweden, Denmark, Netherlands, Germany and Romania. Kaplan-Williams is responsible for redefining the terms, dreamwork (Freud invented the term but did not combine the words, a conscious decision), dream ego, or drego, and waking ego, objectifying dreams, dream source, dream reentry, dreamwork psychology, and the ego and the seven basic archetypes model. 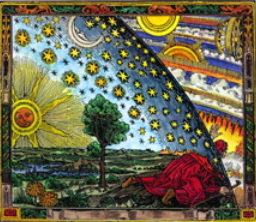 He is the first to compile together a set of complete dreamwork techniques, many credited to their originators, some he originated himself. He is personally responsible for originating the dreamwork methods: Objectifying Dreams, Following the Dream Ego, the Dream Task, Seven Basic Archetypes Dreamwork and modifying these other techniques substantially: Dream Dialogue, Dream Enactments, Dream Reentry(of which he originated the term) and Shamanic Dreamwork. These techniques were originally published in his Jungian-Senoi Dreamwork Manual (1978, 1980) and further expanded in his Dreamworking: A Comprehensive Guide For Working With Dreams (1991). As a contribution to this newly emerging field, Strephon Kaplan-Williams wrote and published three dreamwork manuals: the Jungian-Senoi Dreamwork Manual (1978, 1980), Dreamworking (1991), and Elements of Dreamwork (1991). Kaplan-Williams published the first Dream Cards (1991, Simon and Schuster, sold over 110,000 copies in eight languages). They are still being re-published in the Netherlands (Droomkaarten), Brazil and Germany (Traum Symbol Karten) fifteen years later, but are not yet available again in English. He also published in 2004 the private editions The Dream Alphabet and The Dream Cards Recipes. His other published books include The Practice of Personal Transformation, Transforming Childhood.